The system beeps every 4 joules so you can use the sound as feedback when trying to hit a specific dosage. 2 sets of standard Lithium-Ion batteries. This means you can leave one set in the charger while using the 2nd set. These batteries should be a vial able years in the future so this system will not go obsolete like system with custom battery or permanently installed batteries. Most of the similar priced systems are either a fraction of the power, use super-low-power LED technology, are illegal imports from groups that plan to disappear as soon as the authorities come knocking, they are not optimized for laser therapy or all of the above. In all these cases, they are a potentially high-risk purchase that has will probably produce poor or inconsistent results. Now, there is no reason to take a chance on these super low quality products. The VL series of laser gives all the features of a high-end system for a fraction of the cost. The fly-by-night laser companies typically do not come with any significant support or instructions on how to use the system. 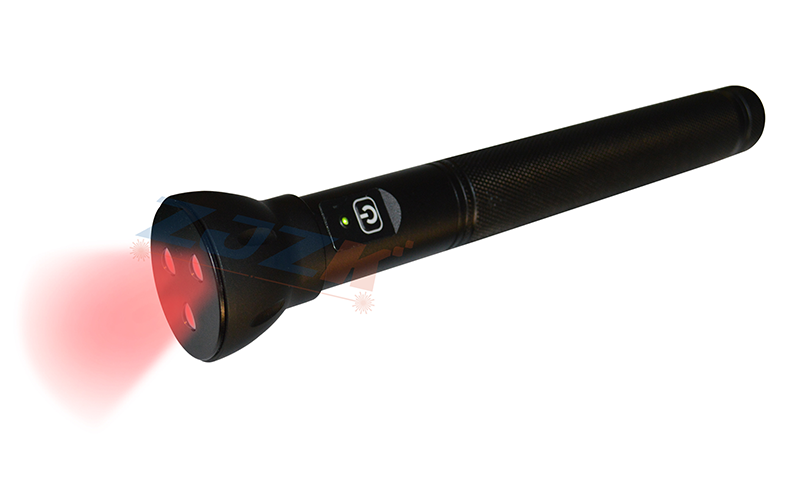 Like all products on ColdLasers.Org, the VL1000 comes with a complete animal protocol library from Laser-Therapy.Us. This online library includes step-by-step cookbook style treatment plans for all the most common dog and equine therapies. 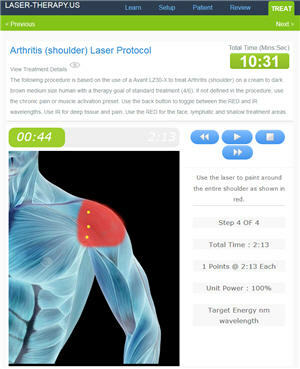 The VL1000 laser includes access to the laser-therapy.us animal protocol library. These step-by-step instructional treatment plans follow the best practices for laser therapy. Because the system runs on a phone, tablet or computer, it can adjust the dosage based on the dis a gnosis, animals size and fur/hair color. Most everyone knows that a black dog or a larger dog requires a much larger dosage so the treatment efficacy is random. 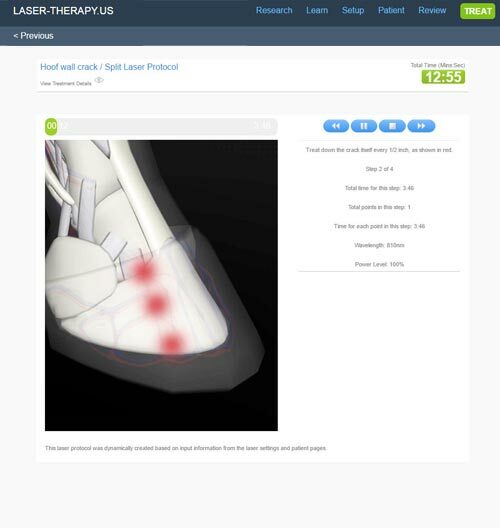 When you buy a VL1000 laser from ColdLaser.Org, you will get access to all the graphic treatment protocols adapted specifically to the animals condition, treatment goal, color and size. The complete list of protocols is shown here. If you have had your cat, dog or horse treated with a laser at the veterinarian's office or barn, you know that animals often make a big change in their behavior after just a few treatments. There is no possibility of a placebo effect in animals with cold laser therapy so you know when your dog can jump up on the couch for the first time in months that the laser is helping your dog live a more pain free and happy life. If you have a long-term need for laser therapy, this system can save you thousands of dollars and hundreds of hours dragging your pet in for routine laser therapy.